Bob Cockren practices in trusts and estates planning, the administration of trusts and estates and related taxation areas, as well as fiduciary accounting issues, will contests, contested accountings, guardianship matters and business succession planning. He also has advised owners of closely held businesses on such issues as buy/sell and employment agreements and life insurance planning, as well as disputes among owners of privately held businesses and medical practices. Through work on behalf of a zoning board, he is experienced in land use law issues. Bob's practice includes counseling clients with respect to preparation of both simple and complex wills, insurance trusts, revocable trusts, generation-skipping trusts, qualified personal residence trusts, charitable trusts and various other types of trusts; pre- and post-marital agreements; shareholders' agreements; and other documents used in sophisticated estate planning. He is also involved with the planning for and administration of charitable entities, including private foundations. Bob is the head of Dentons' Trusts, Estates and Wealth Preservation practice in New Jersey and the former national head of the practice. As such, he has had management responsibility for nearly 25 lawyers and professionals serving clients throughout the United States. 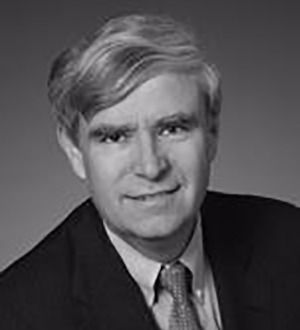 He is a former member of the board of trustees of the Northwestern New Jersey Estate Planning Council. In addition to his trusts and estates practice, Bob is the former Town Attorney for the Town of Westfield, NJ, and in that capacity served as general counsel to the municipality and as head of its Law Department. A former law secretary to the Hon. A. Jerome Moore of the New Jersey Superior Court, Bob is admitted to practice in New York, New Jersey and Florida and is a member of the bar associations in those states. He formerly hosted and was executive producer of Legally Speaking, a cable television program that aired on the Cable Television Network of New Jersey (CTN). He has spoken on estate planning and related subjects at seminars sponsored by groups such as Merrill Lynch, the New Jersey State Bar Association, the New Jersey Bar Foundation, Children's Specialized Hospital, Massachusetts Mutual Life Insurance Co., the American Association of Individual Investors, Summit Bank, Citigroup, US Trust Company, the New Jersey Bankers Association and various other community and civic organizations. He also has served as an expert witness in various matters involving trusts and estate planning and administration issues. Bob is a member of the board of trustees of Kean University and a member of the board of the Scholarship Fund for Inner City Children. He is a former member of the board of the Kean University Foundation and a former member of the board of the Liberty Hall Museum. He served as an arbitrator for the National Association of Securities Dealers in numerous matters for more than 20 years. He is a former lector at the Church of St. Helen in Westfield, NJ, where is a member.